We Irish are famed for our soda bread; it’s always the first item on the table of my parents’ Bed & Breakfast to be sampled by the hungry tourists. However, to claim that this is our ‘traditional’ indigenous bread is incorrect, unless you restrict your view of our culinary history to the period since the Great Famine of the mid-1800s. As the name suggests, soda bread relies on the leavening power of bicarbonate of soda in order to produce an edible result. The omission of this ingredient from the recipe would result in a dense brick being removed from the oven. Baking soda was only introduced to the baking world in 1846 by Dwight and Church, who began the industrial production of this chemical in New York. It is highly unlikely that it was being used by Irish peasants prior to this in their bread baking. Rather, they would have relied on the ancient method of fermenting dough made from wheat or corn flour to produce light, nutritious breads. Why then would we as a nation have abandoned this food which had served us so well for so long? Convenience, presumably. The allure of being able to produce an apparently equivalent foodstuff in a tiny fraction of the time must have been too much to bear for many homemakers struggling to manage the demands of rearing a large family. Being alkaline, baking soda reacts with acid ingredients such as buttermilk to produce carbon dioxide, which has the effect of almost instantly ‘raising’ the bread in which it is used. 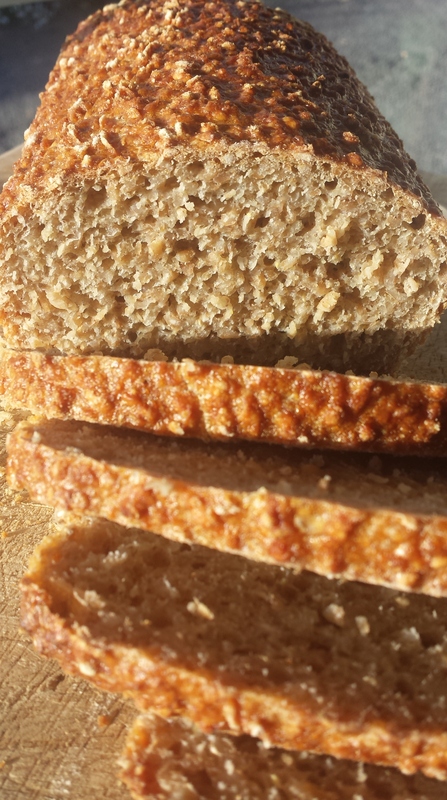 No fermentation takes place, and without time and acidification of the dough, the phytic acid in the wholemeal flour renders the bread nutritionally inadequate. My mother’s aunt (my Nana as she was always known) just passed away a couple of months ago, a mere 2 months shy of her 100th birthday. She was an amazingly bright and energetic person, even in her latter years, and she spent at least 80 years of her life producing 3-4 loaves of soda bread every single day. This was distributed to friends and family, with a small portion of one loaf being kept for herself. However, Nana didn’t call it soda bread; instead, she insisted on calling it ‘brown cake’. And that’s what soda ‘bread’ is; an unsweetened cake, not bread. 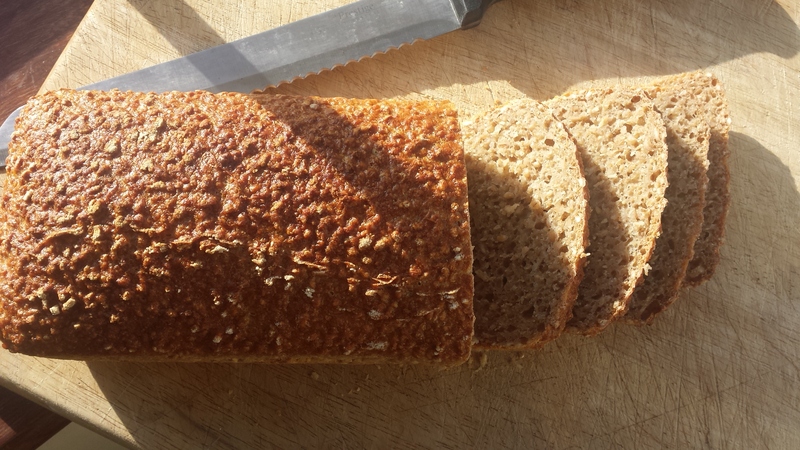 Below is my take on a true ‘traditional’ Irish wholemeal loaf. For this bread I’ve used an extremely coarse wholemeal flour from Macroom Oatmills, which is a tiny 200 year old mill operated by a descendant of the original milling family. They are most famous for their oatmeal, which features in several Ballymaloe recipes, but the flour is a joy to behold. Being so coarse, it requires a long soak during the period of autolysis in order to soften the grain. Try this with some cream cheese and smoked salmon for an indulgent lunch. Mix the two flours, diastatic malt and water until well combined, then allow to autolyse at room temperature for 2 hours. Mix in the salt, then add your starter and knead vigorously by hand or with an electric mixer for around 5 minutes, until the gluten begins to hold the dough in a loose ball. Gluten development is limited in this dough by the coarseness of the brown flour. Form into a ball and place in a lightly oiled bowl, cover and allow to rest for around 2 hours. Grease a small (1lb) loaf tin and sprinkle lightly with flour. Tip the dough onto a floured surface and stretch the dough out into a rough rectangle. 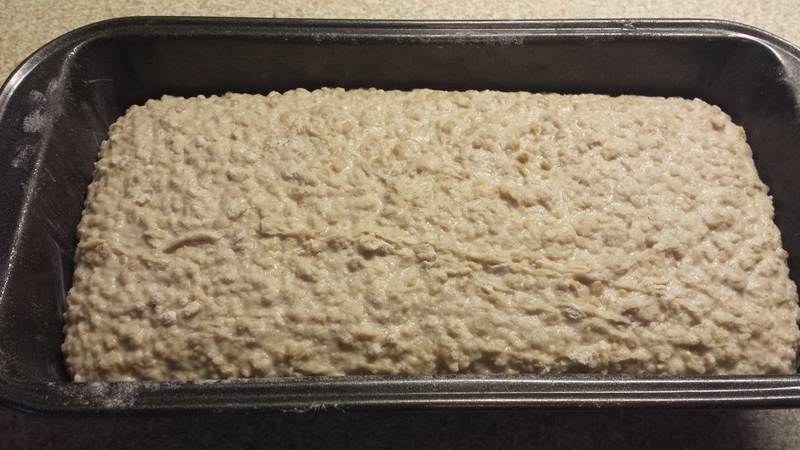 Roll into a sausage around 7/8 of the length of your prepared loaf tin, and transfer the dough into it. Cover and proof for 4-6 hours, until the dough has risen to just below the level of the top of the tin. Place into a preheated oven at 230C (450F) and splash the oven floor with half a cup of boiling water before closing the door. Bake for 30-33 minutes, until the top of the loaf is golden brown and the bottom sounds hollow when tapped. Allow to cool on a wire rack for at least 2 hours before slicing. ← What Is Diastatic Malt Flour?